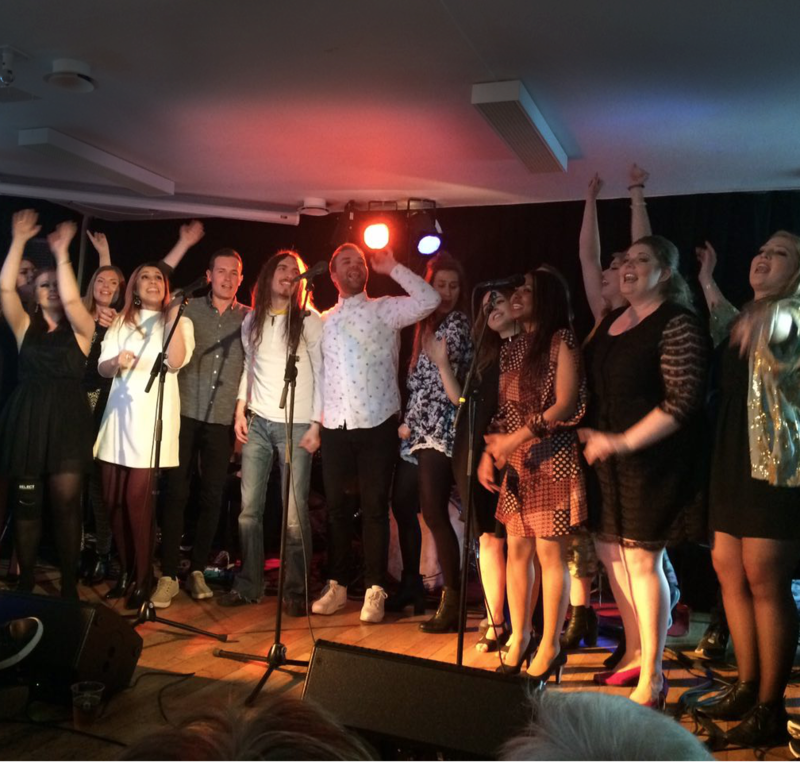 The Vocal Academy is aimed at singers looking for an all-round and varied course that covers all aspects of singing. The Academy is open to all genres of music, singers of popular music as well as classical singers. The goal is for the participants to achieve a significantly higher level professionally and artistically on completion of the course. The course will focus on optimizing the individual, personal work with singing technique as well as ensuring the artistic development for each participant. The objective is an intense and efficient course that will qualify the participants to apply their newly achieved skills immediately after completing the course. Complete Vocal Academy offers tuition at many levels, for not so experienced as well as trained/ professional singers, for participants without knowledge about Complete Vocal Technique as well as participants who know the techniques beforehand. In order to avoid regimentation and destruction of distinctive artistic character, it is of great importance that the course be designed especially for each singer. The course will be conducted with great knowledge and love for the profession. The Vocal Academy is only available at CVI. A deposit of 25 % of the full course fee is to be paid within 2 weeks after you receive your invoice. Please read our standard terms. Minimum age limit is 18 years. To qualify for the course, applicants should have read and understood the book Complete Vocal Technique. You will study with up to 8-13 international singers/teachers in your group. The teachers are Authorised CVT Teachers and they will teach their specialist subject. Only highly qualified and experienced teachers of the highest professional standard will teach on the course. Complete Vocal Academy is aimed at singers looking for an all-round and varied course that covers all aspects of singing. The Academy is open to all genres of music, singers of popular music as well as classical singers. The goal is for the participants to achieve a significantly higher level professionally and artistically on completion of the course. The course will focus on optimizing the individual, personal work with singing technique as well as ensuring the artistic development for each participant. The objective is an intense and efficient course that will qualify the participants to apply their newly achieved skills immediately after completing the course. Complete Vocal Academy offers tuition at many levels, for not so experienced as well as trained/ professional singers, for participants without knowledge about Complete Vocal Technique as well as participants who know the techniques beforehand. In order to avoid regimentation and destruction of distinctive artistic character, it is of great importance that the course be designed especially for each singer. The course will be conducted with great knowledge and love for the profession. Since artistic quality and technical skills do not depend on academic achievement, there are no requirements of that kind for acceptance to Complete Vocal Academy. Artistic quality is not restricted to a specific age group, and commercial applicability is not interesting in regard to artistic ability. For these reasons, Complete Vocal Institute does not enforce an upper age limit. All singers above age 18 holding the required artistic skills are welcome. The course will include all aspects of singing: vocal technique, expression, interpretation, performance, improvisation, phrasing, intonation, swing, awareness and training of one’s own authority, singing with a band, and working and singing together with other singers. While the course aims at optimizing the individual participant’s technical and artistic level, all subsidiary subjects that are not directly related to singing are left out in favour of vocally and practically applicable subjects. The participants’ personal vocal development and education. Solving of the participants’ own, and common frequently occurring, vocal issues. Acquisition of practically based theoretical knowledge. Working practically with the vocal modes Neutral, Curbing, Overdrive, and Edge. Training fast recognition of various vocal issues and the use of vocal techniques. Various genres within vocal groups / choir. Musical and artistic approach to singing. Practical singing technique with pianist. Music business related issues and exchanging of experience. Teaching on the course will only take place in groups. Furthermore, part of the course will consist of singers working together in study groups on specific subjects. Participants will acquire depth knowledge of the learning methods and singing issues of the other participants. This will provide the participants with invaluable future knowledge of different methods, both learning and singing wise. It is a prerequisite for the well-being and free expression of each individual participant that the work take place in an atmosphere of openness and mutual trust. The course will take the individual participants’ level of technique and singing as its starting point. In order to recognize and solve one’s own vocal issues, it is necessary to have thorough knowledge of one’s own voice. A major part of the course will deal with enhancing the technical and singing potential of each participant. The studying of singing concepts will include work with The Three Overall Principles, the 4 vocal modes (Neutral, Curbing, Overdrive and Edge) in singing and in speech, sound colour, and the use of effects. Identifying and solving different vocal issues will also be worked with. The participants are continually encouraged to consider what they wish to work on, how they wish to work on it, and what results they wish to achieve. The schedule will include detailed study of the voice. The acquisition of theoretical knowledge will take place through individual study as well as through demonstrations. Theory will be consistently illustrated through the use of practical examples. One of the fundamental aims of the course is that all acquired theory be put to immediate practical use. Optimizing each participant’s work with the vocal modes will take place in groups. Instruction will focus on the singers’ individual wishes for singing with different extends of metal added. There will be a non metallic class (optimizing the vocal mode Neutral), a half metallic class (optimizing the vocal mode Curbing), and a full metallic class (optimizing the vocal modes Overdrive and Edge). The work will include finding the centre of the modes, expansion of the vocal range within each vocal mode, working with vowels, recognition of volumes and possible sound colours, applicability within various genres, as well as technical vocal reservations of the vocal mode, warnings and pitfalls. It is a prerequisite for the vocal education that participants are able to recognize the used vocal modes rapidly, performed live and on recordings. This will allow singers to more quickly achieve the desired sound and apply the correct methods to solve issues that may occur. This part covers a thorough going through of various voice issues, and how to solve them. Included will be identifying and solving of hoarseness, nodules, irregular production of mucus, as well as preventive measures and emergency aid. The goal is to make it possible for the singers to prevent and remove troublesome constrictors themselves. The aim is to for the singers to achieve knowledge about different choir genres, as well as the to experience the great value of singing together with other singers and gain a social and musical network, contrasting the often very lonely work as a solo singer. The technical aspect of singing affect how the singer communicates. Thus, working with expression and performance is important. This subject also includes working with intonation, swing, improvisation and phrasing, awareness of own authority, status and means, and adjustment according to these. Hereby, the participants will get the possibility to explore and share their own and each other’s resources without a teacher present. Rehearsal groups are formed, in order to practice both theoretical and practical aspects. Furthermore, the participants can build a repertoire within the style desired, and they will also be encouraged to form musical vocal groups. All aspects of singing will be assembled and tried out with a pianist and with backing track. The singer will choose a song, and a subject to work with. Subjects to work on may include different aspects of singing technique, problem solution, expression, swing, improvisation, performance, technique etc. The subject will be held as a masterclass. Each singer will receive individual tuition working with a song, and parallels to the other participants’ work with singing will be drawn. All singers will participate in optimizing each singer. Various music business related issues will be treated, in order to prepare the participants to be able to navigate safely in both the artistic and the commercial parts of the business. The subject includes talk about ambitions, further career development and musical parameters as well as increased awareness of own authority and self-reliance. In addition to this, there will be discussions and exchanging of experience. Singing with a band A final graduation concert will be arranged where the achieved skills of expression, performance and presentation can be tested. During the academy an entire week is assigned to song writing. Singers will have the opportunity to work on original song material. The song writers week will end up with an internal concert where singers perform the songs they have made. Support. Working with supporting muscles, understanding the very backbone of support, different sensations of support, support training, understanding the necessary energy needed and detailed study of using support. Anatomical and physiological study of the vocal organs, the importance of having an open throat. Detailed study of pronunciation and the importance hereof. Opening of the mouth for different notes. Principles for completing a note and for various attacks. Study of different volumes and safe methods of producing them. Theoretical and practical study of range and types of voice. Voice register, including vocal flageolet, flute register and solving unintentional vocal breaks. Study of the 4 vocal modes: Neutral, Curbing, Overdrive, and Edge. This will include an introduction to the use of the vocal modes with regard to pitch, sound colour, volume and vowels. Transitions between the vocal modes will be studied, so the participants will ultimately have a complete overview of the vocal modes. Speech technique and vocal modes for different singing genres will also be covered. The study of sound colour, including the importance of the vocal tract, the possibilities of the epiglottis funnel and adjustments of the larynx, the tongue, the mouth, the palate, and the nasal passage. Furthermore, various sounds will be combined in order for the participants to get a full overview of the possibilities of sound colour. Microphone technique will also be looked into. A short introduction to the different effects the participants may possibly make use of. This study will primarily aim at a theoretical understanding and a practical use of the effects, for instance distortion (sounding hoarse without being hoarse), growl, intentional vocal breaks, air added to the voice, screams, and creaks, vibrato and techniques for ornamentation (rapid run of notes). Also the use of the effects, with regard to pitch, sound colour, volume and vowels will be introduced. This study will deepen the theoretical understanding, as well as make the participants recognize and use the effects. A thorough study of various voice issues and how to solve them, including topics such as identification, relieving of hoarseness, nodules, irregular production of mucus, as well as preventive measures and emergency aid. Study of the principles of improvisation and phrasing. Introduction to expression and performance. Study of and work with swing. Furthermore there will be a overall study and identification of various forms of utilization within music, including going through and solving the problems that can occur developing music, e.g. trouble hearing your own voice and the issues that may follow during singing, the difference between using the vocal modes acoustically, in a studio and for singing live. Also, performance, audition training and appearance will be worked on. Awareness of your own skills and shortcomings and awareness of how this affects the artistic personal appearance. Included will be an intense study integrating the various ways of working during the course. Focus will also be put on the individual participant’s artistic resources and limitations. Each participant will be encouraged to find his/ her identity as a singer. All participants will be urged to participate in different study groups during the full 14 weeks of the course. Working in groups may be a prerequisite for parts of the course. Teaching during the course will be a combination of individual singing work, theoretical and practical training. There will be individual as well as group exercises. Working in groups will be oriented towards process as well as result, and theory will relate to the techniques and exercises worked on in the group. To create a secure atmosphere in the group, the participants appear both as singers and as audience. The working methods will include study and lectures on theory, as well as a practical testing of theory. Moreover, there will be talks and debates, including what the participants expect from the course. A pianist will be present for accompaniment during certain parts of the course. The working method will include tests, self-assessment and skill tests to put emphasis on the participant’s awareness of his or her singing skills. All topics and modules will be tested to assess the development of each individual participant as well as the course. Auditive analysis of live and recorded singing. Under supervision, each participant will examine the used techniques, both live and recorded, in front of the group. Assessments will be carried out with the group. The Complete Vocal Academy course counts 16 ECTS-points for the full course. Music business related issues and exchanging of experience: 1 point. Please note that your specific institute of education must approve these points. get a taste of Complete Vocal Technique.